TEXT +33 6 50 37 78 30 for immediate answers to your questions! Beautiful newly renovated furnished residence located in the Valley of the River Selle near Amiens, France. 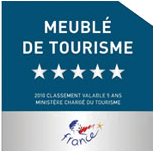 Meandering streams, rivers and canals, meadows and rolling hills, horse country, Somme battlegrounds, cemeteries and memorials of both World Wars, French cuisine! 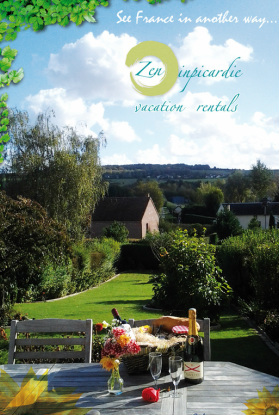 Independent, comfortable, quiet home surrounded by nature located in a small village in Picardy. Fully fenced property, gated entrance, private off-street parking, and security cameras offer peace of mind. Plein Ciel, a 3 bedroom 1 ½ bath vacation home with approximately 100 square meters (1076 square feet) of living space welcoming a maximum of 8 guests offers a panoramic view of the Valley of the Selle. For Plein Ciel click here for detailed information. Cozy Cave, a large 1 bedroom 1 bath open living space facing the courtyard garden, is also approximately 100 square meters (1076 square feet) and can welcome up to 6 guests. For Cozy Cave click here for detailed information. Note that owner resides on property, and is available at all times to assist you in making your visit as pleasant as possible. Please do not hesitate to contact us for additional information. We will be pleased to welcome you!